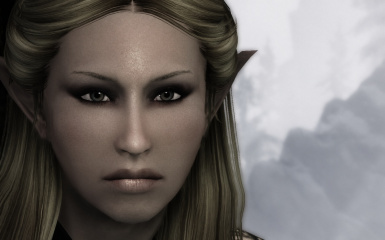 Adds a new race,the Epic Elves with new eyes and eyebrows from pretty face for all human races. Whatever you need,take it and give credits. -Tweaked the VAMPIRE morph ,to make cheeks look less sunken and more natural. Epic elves feel a bond with nature and strive to live in harmony with the natural world. They are proficient with bows and swords as well as healing magic. The raceial bonuses are the same as Breton Race. There are some problems wihile updating the mod from older versions. Please read this post by Kuukunen,before updating. tl;dr: If you're not interested in my findings on why custom races using RaceCompatibility have problems with things like changing hair styles after update (and possibly other problems? ), you can ignore this. Also, with a quick search I didn't find if anyone else has written this down, but sorry if this is old stuff. I'd been using the old version of Epic Elves (with and without Dark Daemon's "Vampire Fix") before, then I updated. The new version has different EpicElvesRaceController quest that handles conflicts using RaceCompatibility's GeneralRaceController system. The problem is, because the previous version had a different version of the script, the old quest that registered the custom race had already started. The quest still has the same FormID, so it wouldn't run again with the new script in any of my saved games, because the save had stored the fact that the quest was already running. 1) I'll start with the ones that doesn't involve any tools. Start a new game. From the beginning, that is. I had the problem that I used the save just before the character selection, where I had had the old .esp loaded, and therefore the save file had flagged the race controller as being run. Obviously this doesn't help much if you want to continue your game. 2) Because the race controller works by starting a quest at the beginning of the game, then registering proxy races in the OnInit of the script, if you get the script to run OnInit again, it will start working. Because the quest is already running, you have to run "stopquest EpicElvesRaceController" and then "startquest EpicElvesRaceController" to restart it. HOWEVER: In the version of the .esp I have, the EpicElvesRaceController quest is flagged as "Run Once", which means you can't get it to run again, even if you stop it, so this doesn't help in the current version of the Epic Elves. You can't even get around it by removing the "Run Once" flag from the esp, because it's apparently flagged as "never run this quest again" in the save file. 3) Also, if you can remove the "quest has started" flag from the save, the quest should be able to run again. Unselect the .esp. Load your game. You will probably have no face. run "player.setrace BretonRace" in console. Save. Restart Skyrim from Desktop with the .esp loaded. Load your game. Run "player.setrace EpicElvesRace". In theory this shouldn't mess with skills or attributes, but it might cause other problems, like if you have an Epic Elf follower, you might have to run the same setrace to him/her too. Also, if you're vampire, using BretonRaceVampire and EpicElvesRaceVampire instead might work. 4) Anything that changes the ID of the quest. This includes the one I mentioned before: changing the FormID of the EpicElvesRaceController quest. Or you could just download the .esp I linked in previous post. This has the benefit that it should mess with least amount of things with least amount of work, in case method 2) doesn't work. 5) Another way to change the quest is to change the filename of the esp. This means all references to that quest are invalid. However, this also means all other references to the esp are invalid, including player's race and you probably have to run "player.setrace BretonRace" followed with "player.setrace EpicElvesRace". In theory this shouldn't mess with the skills or attributes, but I have no idea what other bad things it might do. This method also causes problems if any other esp refers to the one you renamed, like Epic Elf followers. Suggestions to zzjay: In the next version, change the FormID of the EpicElvesRaceController quest. And change it again if you ever modify the controller script. Also remove the "Run Once" flag, just in case... so that the method 2) would work in the future, if there's any problems. 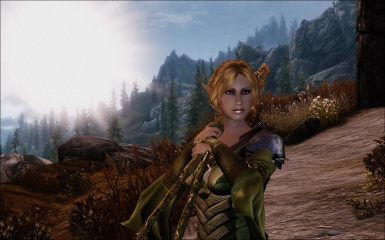 delete the esp (Epic Elves by zzjay.esp) from your skyrim data folder.